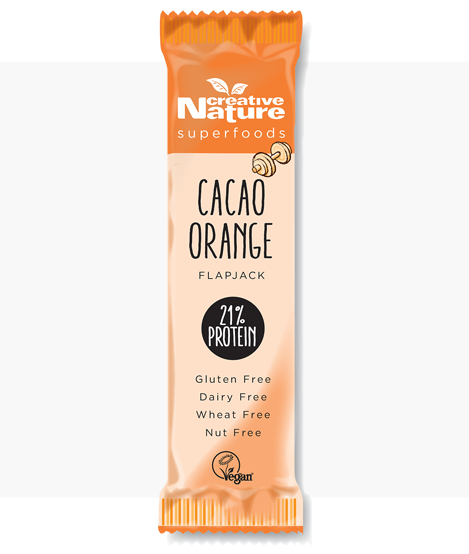 The Creative Nature Cacao Orange High Protein Flapjack is a beautiful twist on our bestselling Raw Cacao bar, with the added hint of orange and whole lot of protein & fibre! 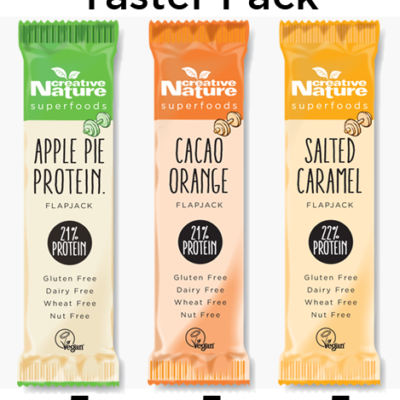 Stop forcing yourself to eat the same old protein snacks packed with additives, sweeteners, nuts or worse and indulge in a healthy and delicious Creative Nature Cacao Orange High Protein Flapjack! 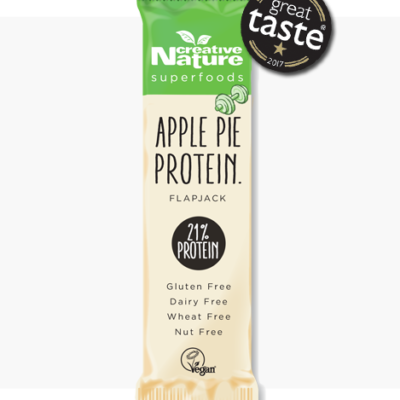 Add a bit of joy to your gym session with something that tastes good, does good and has over 20% protein per bar, which will keep you fuller for longer but will also aid in muscle recover when consumed after a workout! 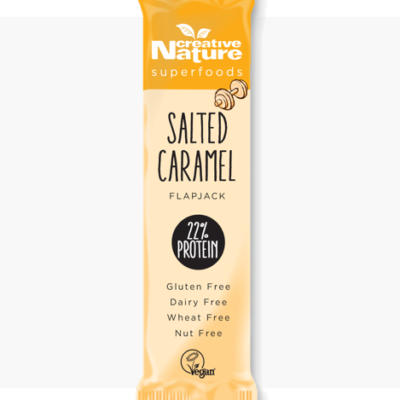 We’ve given this Creative Nature Cacao Orange High Protein Flapjack a Social Media tag, so be sure to use #IAMCHANGE when posting up pics and inspiration online so like minded people can join in the conversation. We’ve chosen this powerful tag because change is all up to you. You can choose to change your life by eating healthier, exercising more regularly and letting go of stress. You can help changes lives around you by encouraging positivity, treating people the same as you would expect to be treated and doing random acts of kindness. Healthy eating and living is a community, so let’s build ours together!